UNITED STATES: Nordex has this week started production at its first plant on United States soil. Ground was broken on the Jonesboro, Arkansas, facility in September 2009 and construction was completed in July. The plant currently employs 42 staff. The launch follows the completion of a 10-week training program by the plant’s production crew at Nordex’s main plant in Rostock, Germany. "There’s no way to do this without international exchange," said Joe Brenner, vice president of production for Nordex. "We have to transfer expertise in order to build a wind industry workforce [in the US]." The Jonesboro facility currently manufactures turbine Nacelles – the housings for turbine engines and other turbine components. 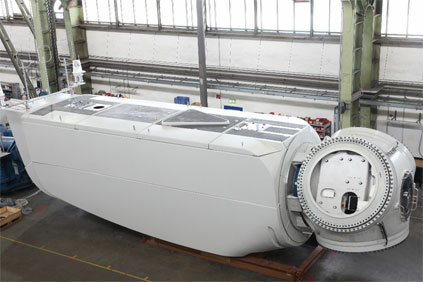 Construction of a rotor blade assembly plant is planned for the future, according to Nordex.